Have you shopped for holiday decorations lately? So expensive! I want to participate in the festivities too, but I don’t want to use my entire holiday budget for once-a-year decorations. Solution? Use your many, many books to deck the halls. These chalkboard signs are adorable and use some of the classic statements from true Christmas classics. This is by far the best line from The Polar Express. If you wanted to play a prank on someone, you could remove the ball from the bell, so it won’t ring. Perhaps you can get them to truly believe. Just make sure you can replace or fix the bell, so no one gets genuinely disappointed. Let’s just say now that libraries have the best holiday decorations. You can make funny, sweet Olaf with a stack of white books and some black, orange, and white paper cut-outs with brown pipe cleaners. Or you could decorate with this adorable duo. Similar to the other stacks, you can use your own books. If you don’t have many green books, you could wrap books in green wrapping paper. If a cute decoration option allows you to take the easy way, why not go with it? You can get a Grinch cut-out at Etsy, set up only one string of lights, and you’re done! 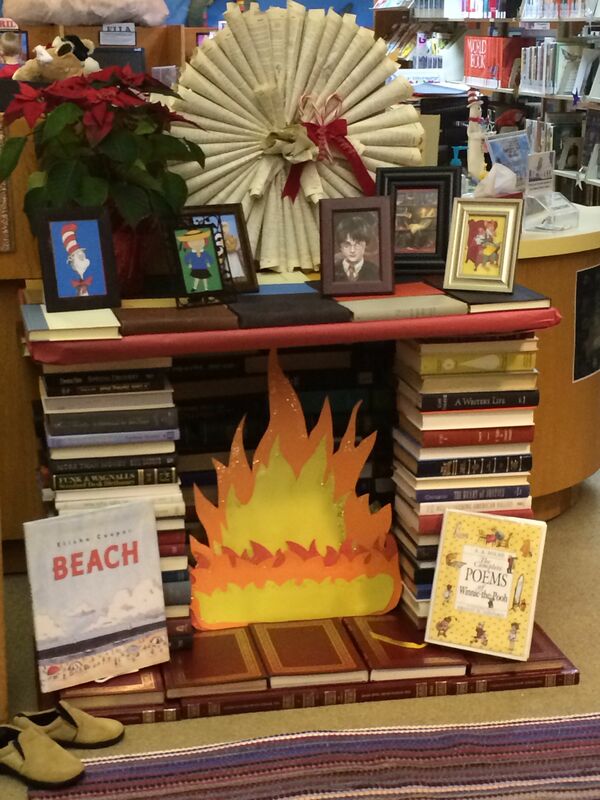 More time to sit by the fireplace with a good book this holiday season. If you want a really simple decoration, you can turn books around and then attach letters. This one says Noel, but you could do any word you want. How cool, yet a little creepy, is this door knocker? We don’t really see or use A Christmas Carol‘s subtitle, but it has one: “A Ghost Story of Christmas.” So it’s okay that this door knocker is somewhat creepy. It will remind you and your guests to keep the Christmas spirit with you all year round, or you’ll get a visit from this guy. 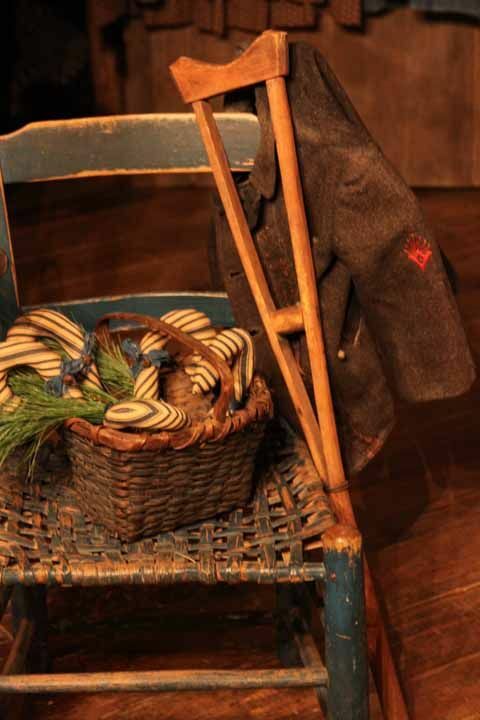 To juxtapose the creepy door knocker, you could refer to the novel with Tiny Tim’s crutch. Isn’t it so heartwarming and sweet? If you have the room but no fireplace in your home, a book fireplace could be a great option for you. Plus, it reduces the fire hazard significantly. If all else fails, you can dress up your existing bookshelves for the holidays. As stressful as the holidays can get, sometimes simple is the way to go. 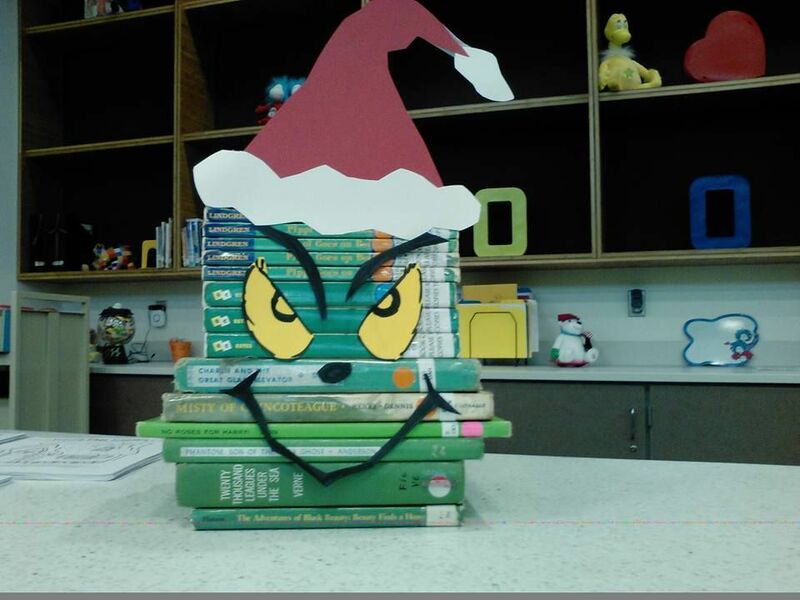 How do you use books to decorate for the holidays? I am a freelance writer and editor, wife, and mother of twin toddlers. I'm a natural redhead, I'm left-handed, and I love reading and writing.